This item is NOT a medical ID. We do not recommend engraving medical/emergency information on this cuff. 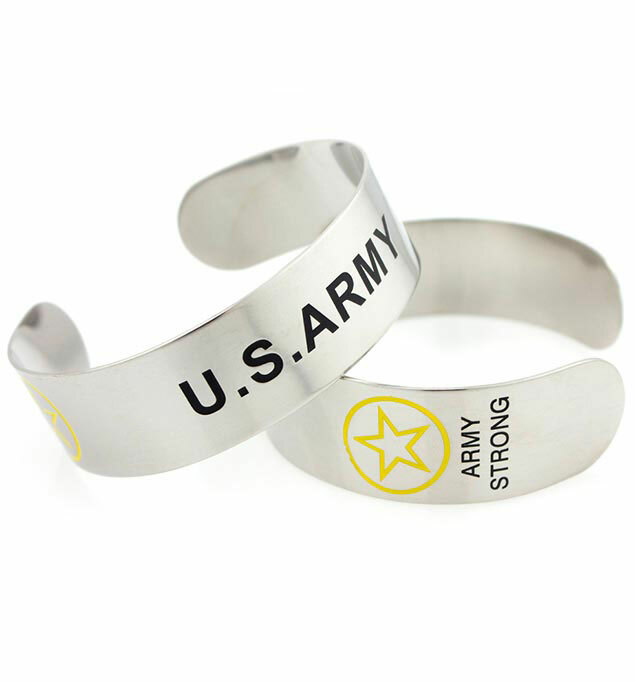 In honor of our military personnel and veterans, we designed the Army Cuff. Stainless steel, easily adjustable, and custom engravable, the Army Cuff makes an excellent gift for those who serve our country.